eCommerce is selling the goods through online stores. Any physical retail store also can use e-commerce to sell products online. E-commerce works for any business. However selling the products or services online is different from selling them from physical stores. The online store should be optimized, so those users find what they want and easily buy the product. In 2016 online buying has been done by the 53% of online internet users Globally. Getting exposure for online business is a challenge for any retailer. Digital marketing may not suit everyone. Marketing the e-commerce site is different from what you do for your physical stores. 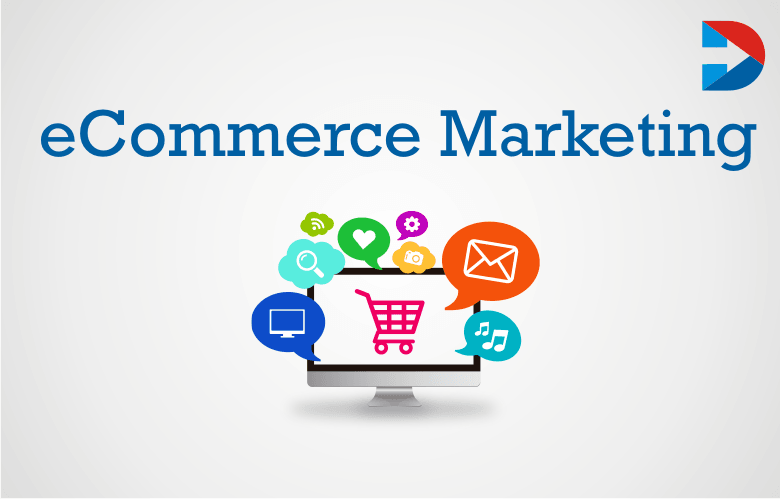 There are different types of marketing suitable for e-commerce sites. These include the Influencer marketing, social media marketing, paid Facebook Ads, Google Adwords, Search engine optimization and email marketing. These marketing methods help the stores to increase sales. Driving traffic to the online store and optimizing the user experience for conversion are two important components of any online business. Failure in any one of them will affect the success of the online store. Here are few ways to drive traffic to the online store. Instagram is one of the most effective marketing channels for any e-commerce site. 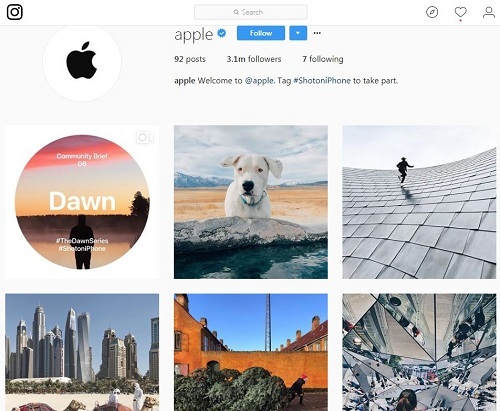 Using Instagram, e-commerce sites can get more engagement and generate higher order value. Send free samples to Instagram influencers to help drive traffic and build a brand. B2B e-commerce sales reach to $6.7 trillion by overcoming the B2C sales. Find bloggers and bloggers with a large following and get coverage. It helps in a diving lot of sales to the stores. Send a sample to them and request to review it. If your online store is new, ask your family and friends to share it. Use Twitter to engage with people. Ensure that your tweets are valuable to people related to your business. E-commerce marketplace is overcrowded. Standing out in the crowd is possible only with branding and brand identity. If the unique selling position or a notable feature is not highlighted and marketing effectively, customers simply forget the brands that sell the same thing. Brands that offer quality products and provide customer support have high chances of growing fast. E-commerce is tricky, and digital marketing becomes a huge factor for the online store. Here are some marketing strategies that help in increase in conversions. Content marketing strategy is important for any e-commerce business. There are different methods to use to reach out to customers. Create a strategy for content marketing before beginning. Email marketing is very effective for e-commerce to influence the customers and convince them to buy. Keep in contact with the customers, send them information about the products, deals or any other information. Convince them to buy your products. Generate automated email marketing campaign. 26% of e-commerce traffic has been counted by Google AdWords and 43% from Google search. Social media is another great place for digital marketing. However, finding the right platform that works is difficult. Diversify and find those platforms that work well for the business. E-commerce sites should have pages on Facebook, Twitter, Pinterest, Instagram and Google Plus. Spread the content through them and use the tools to analyze which social media is working best. 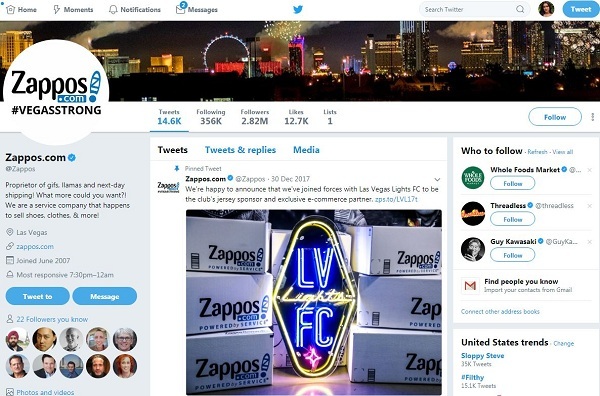 Social media gives a chance for the customers to connect with the company. Another great digital marketing strategy is personalization. Write emails with the names of the potential customers. Send videos that introduce your employees to them, create behind the scenes videos and show how the products are made. Personalization makes the customers feel special and pays attention to the brand. Create original content to engage the potential customers. Build your site as knowledge for by having original videos, blog posts, etc. Build interaction with the customers with user-generated content. The retailer does not need to put money or time into creating this type of content. Ask the customers to submit pictures, videos or blog posts. E-commerce stores mostly sell their products to people all over the world. Try reaching the customers in their native language. Customers are using smartphones like never before. It is therefore important to optimize for the mobile world. Use mobile advertising combined with geo-location to connect with the customers. Build a community on the e-commerce store through forums. Use message boards and chat areas to make the store a discussion platform. Have better delivery options to make the people feel special. Speeding up the delivery process help to stand out from other competitors. E-commerce websites are displaying 75% of full five-star customer reviews. Focus on local branding and marketing by having a connection with brick and mortar stores. Use geo-location tools to reach customers near the stores. Ask the customers to do product reviews. Have a live chat module on the site to talk to the visitors. Respond to comments on social media sites. YouTube is one of the popular video sharing sites, and this can effectively use as the greatest tools for any e-commerce business. Using video as a marketing tool helps in drawing a crowd and involving the customers directly. It is also good to generate brand loyalty, get repeat views. Create product launching videos, product review videos, how to videos and others to engage the people. Collaborate with influencers to reach the new audience.Ensure that the marketing videos on YouTube are entertaining, informative and not just trying to sell products. Any e-commerce store should try hard to get traffic and convert visitors into customers. Build a following and then look for ways to establish the online store. Use methods such as SEO, content strategy and social media to reach the target customers. Social commerce is a marketing channel. The social platforms are used by the brands and businesses to find and connect with the target audience to make them visit the website. Social commerce is more than this now. They are rising to become selling solutions. These are now used for advertising, lead capturing and also to increase sales. Social sites such as Facebook are allowing running an entire business without any need to create websites. 55% of online sellers state that online customer reviews are the major source to stimulate the customers in purchasing. Social commerce is a model used by online stores to drive sales using social networks. Online shoppers are visiting the social networks to know about the products they want to buy and to get feedback from other customers. E-commerce and social media are rising side by side. More and more consumers are using the social network to guide their purchases. Brands are trying to find the right platforms to reach their target audience and use the social commerce properly to have more engagement and loyal customer base. Thousands and thousands of new people are joining the social media sites every day. There are millions of active users. Finding and reaching the target customer audience is easy for any business on social media sites. For companies that use social commerce, there will be consistent audience growth. Social commerce increases website traffic. When there is more website traffic, there are high chances that it gets high search engine ranking. Share the links to your content on the website through social media to drive traffic, engage with the audience and let them like and share. Growing social media audience is a great way to make conversions. Engagement and reach are one of the significant benefits of social commerce. Social media can be used by brands not only to engage with the audience but also to serve the customers and solve their problems. Social commerce provides the opportunity to build and maintain relationships with the prospects. Customer loyalty and retention is a big benefit from social commerce. It is easy to measure and evaluate the performance of marketing on social media. Social commerce provides built-in metrics for engagements and reach. Basing on the social media pages of business brand’s promotion 33% buying activity of customers can be observed. One of the most popular social commerce platforms is Facebook. Facebook has the highest conversion rate. 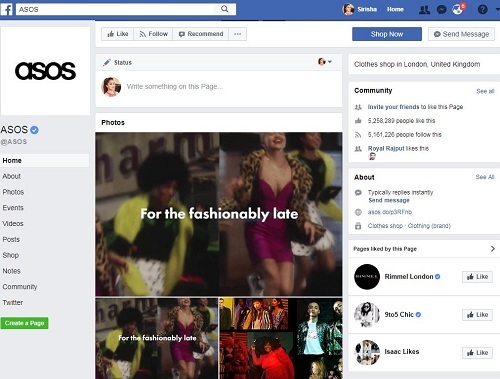 The companies are having Facebook pages and providing ‘Buy now’ buttons so that convinced patenting customers can click it and reach the e-commerce site directly. Native buying function is also introduced by the platform. The brands can sell their products directly through this platform. Brands can post their photos, articles and even mention the prices of the products in separate sections of the page on Facebook. Pinterest is another interesting platform for e-commerce companies. It influences purchases of customers. 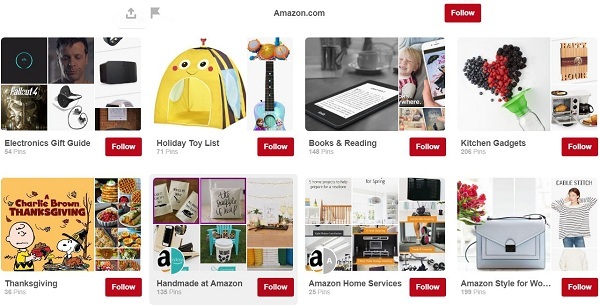 When browsing products on Pinterest, the user will have a choice to visit the store or to follow the brand on Pinterest. They can also buy the products immediately. Studies proved that this platform could greatly influence the buying decisions of the potential customers. Twitter social commerce allows the brands to interact with the target audience in real time and also to make sales. Sponsored tweets can have ‘Buy now’ buttons. Geographic targeting also can be used to reach the local audiences. 92% of online business brands are utilizing Facebook ads for the promotion of products or services. This platform is also used to create the effect of scarcity because of which the customers are going to buy the product immediately. Deep linking and auto-fill features of Snapchat are making it an interesting place. It is possible for the marketers to engage with direct response ads. The ‘Auto fill’ feature allows customers to fill the payment information fields automatically. Snapchat provides native experience to the shoppers to know more about the products. Facebook drives the 85% of orders in the category of social media. When customers choose to interact with the brands through social media, they want an authentic experience. A social commerce plan which is well executed can bring in profits for the brands. At the same time, a bad plan can do significant damage. Brands must simplify the purchase experience. Use native social commerce pages to simplify the sales process as these increases the sales. Brands must know how to present their product on different social media sties. Choose the right platforms based on the goals. For example, Twitter is great to reach younger demographics. Snapchat works well to use Scarcity concept. Most of the top retailers of US have been categorized by considering the percentage of the traffic coming through social networks. Success in social commerce depends on how well the audience is understood and how effectively the brands are using the platform. Each platform helps in appealing to different customers and understanding this makes a difference between a successful social commerce and wasted marketing budgets. Social media works for any brand and business provided it is done right. Brands must formulate an effective plan to use social commerce, and they should be ready to take some risk. Time, effort and money are needed to be invested. Social commerce is changing how effectively digital marketing is used. Social comer is revolutionizing how the e-commerce is working, and brands must know how to use them to drive growth.